SQLite PHP Generator is a freeware but powerful SQLite GUI frontend that allows you to generate high-quality SQLite PHP scripts for the selected tables, views and queries for the further working with these objects through the web. 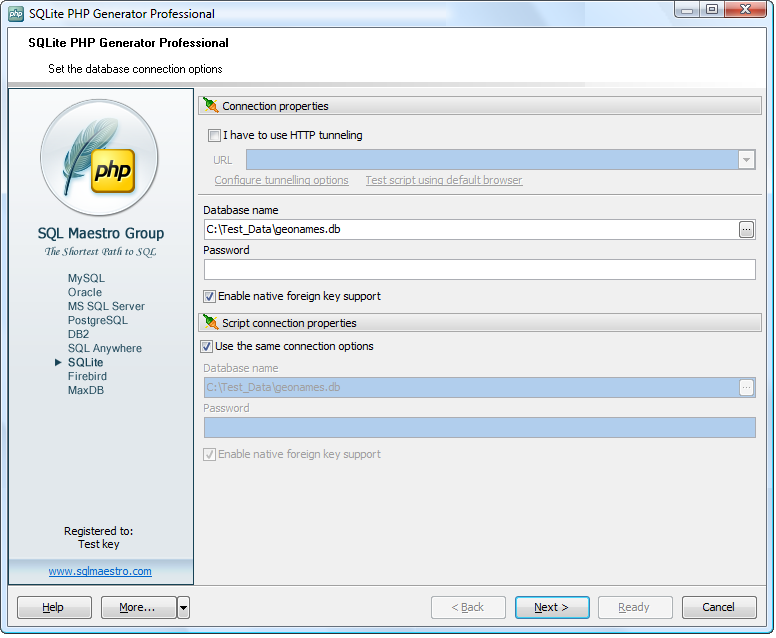 Key features: data management abilities (adding, editing and deleting records), customization of the HTML appearance, filtering and sorting abilities, data protection with a lot of security settings, lookup options for master-detail relations, integrated script navigation and ability to create multilingual web apps. This site does not contain serial number, crack, keygen SQLite PHP Generator serial number : serial number is the simplest type of crack. A serial number(cdkey,product key,etc) is register the program as you may already know. a crack or keygen may contain harmful software. If you cannot find the exact version you want, just give it a try. for more information read .nfo/.txt/.diz file include in zipped file.